Winston-Salem has a great independent movie theater called Aperture. It’s located in the heart of downtown (right across from Mellow Mushroom — perfect for a pre-movie meal), the theaters are cozy, and they serve beer and wine in addition to the typical movie snackage. In the two years since moving to Winston, I’ve seen several good movies at this theater, but I wanted to specifically call out the two films I’ve seen at Aperture most recently: The Way Way Back and In A World. I saw The Way Way Back with my friend Mary a few weeks ago, and we LOVED it! First of all, it has an amazing cast (Steve Carell, Toni Collette, Sam Rockwell, Allison Janney, Maya Rudolph, Amanda Peet, Annasophia Robb), and it was interesting to see Steve Carell play an unlikable character for once. He’s quite good at it, as it turns out! 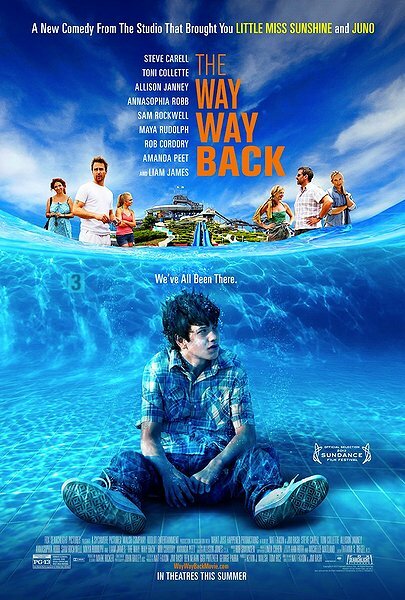 The Way Way Back is a coming of age tale that involves an outdated water park, a hilarious collection of employees at said water park, and an introverted 14-year-old who gains the gumption — thanks to nudges from new friends — to stand up for himself after a summer of stewing in silence. How could you go wrong? 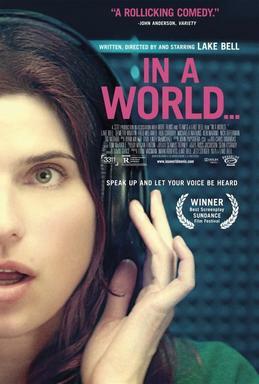 In A World was recommended by my friend Bethany, and it proved to be a winner as well. Kevin and I met up for dinner at Mellow last night and then headed across 4th Street to catch this movie. As with The Way Way Back, this flick featured a seriously great cast. Demetri Martin, Ron Swanson (er…Nick Offerman), and Tig Notaro — good stuff. The lead (also the film’s writer and director), Lake Bell, was adorably likable (and — to me — looks like a perfect hybrid of Sandra Bullock and Amanda Peet) as an aspiring voice-over performer following in the (very accomplished) footsteps of her famous voiced father. It’s funny, it’s awkward, it’s sad, it’s sweet — I definitely recommend this one. Readers: What good new movies have you seen lately? Please send recommendations my way so I can hit up Aperture again soon!